The best part of raising chickens is collecting and EATING their delicious eggs. They are rich and creamy and packed with flavor unlike eggs you buy at the grocery store. With less cholesterol and higher nutritional value, eggs from free ranging chickens are healthier too. We have a bunch of chickens (who knows how to do chicken math? ), therefore, we have an abundance of eggs. 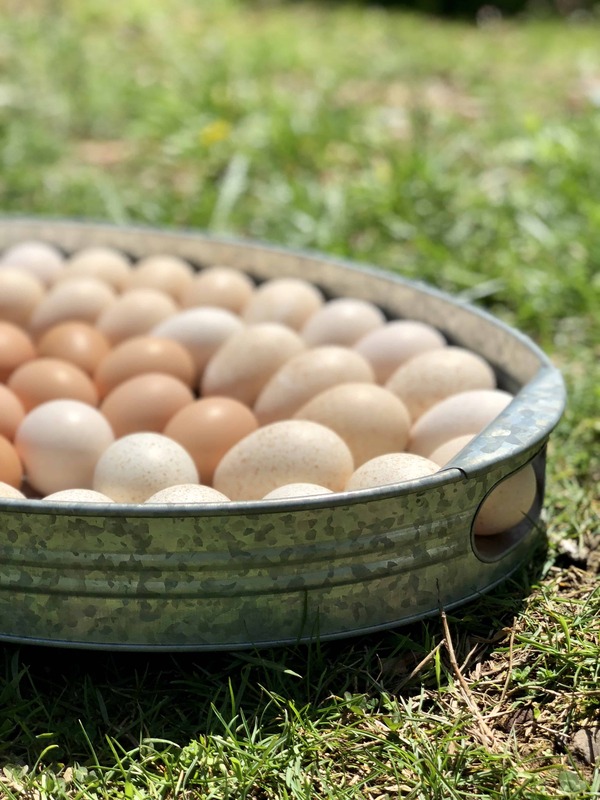 Did you know that farm fresh eggs don’t have to be refrigerated? This fun egg holder sits on the kitchen counter to hold ours. 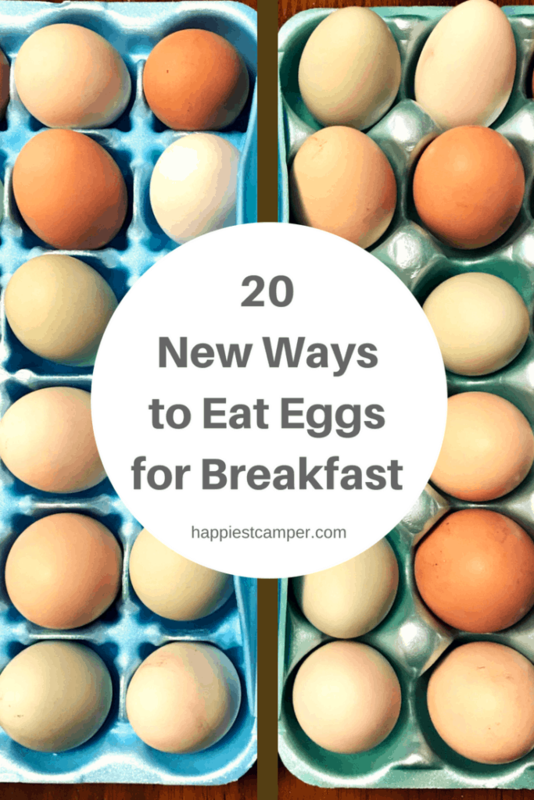 I am trying new recipes to incorporate more eggs into all of our meals, but this list focuses on breakfast. These are all approved by my family, even the one-year-old. Some of these breakfast eggs are quick and easy, while others are more involved for a slow weekend morning. They are all delicious! Smoked Salmon Scramble. If you love all things salmon, this is a breakfast dish that you just have to try! Trust me when I say that the flavor is out of this world. Sausage and Egg Breakfast Pinwheels. Not only are these pinwheels super fun to make, they are just as delicious as well! Sausage and eggs are like a match made in heaven. Ham and Potato Egg Taco. Taco’s, for breakfast? Yes, please! How awesome to use the egg as the “taco” shell! A super fun treat for breakfast. Spinach Quiche Muffins. Combining the flavors of muffins and quiche with this delicious breakfast dish is sure to be a winning combination each and every time. Cheesy Vegetable Farm Omelet. Omelets are one of those breakfast dishes that truly make breakfast awesome. The beautiful part about omelets? You can add anything to it that you want. 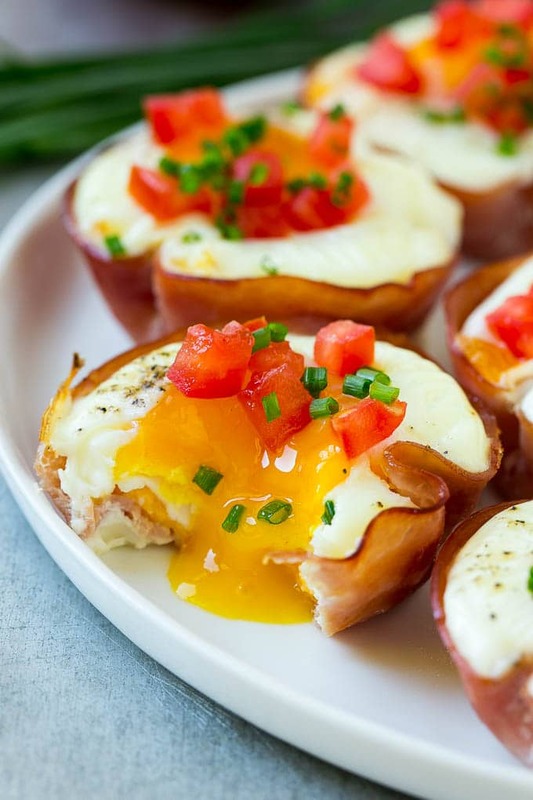 Ham and Egg Cups. Simple, easy and delicious. Sounds like the perfect recipe for breakfast success, right? My toddler loved that I made them in this mini muffin pan. Hash Brown Egg Nests. Such a fun and inventive way to bring in the spring and summer with these adorable (and yummy!) hash brown egg nests! Easy Skillet Breakfast. This recipe has to be amazing with the word “easy” in the name, right? And trust me, it is! Waffle and Egg Casserole. Two breakfast favorites combined into one amazing dish? Yes, please. 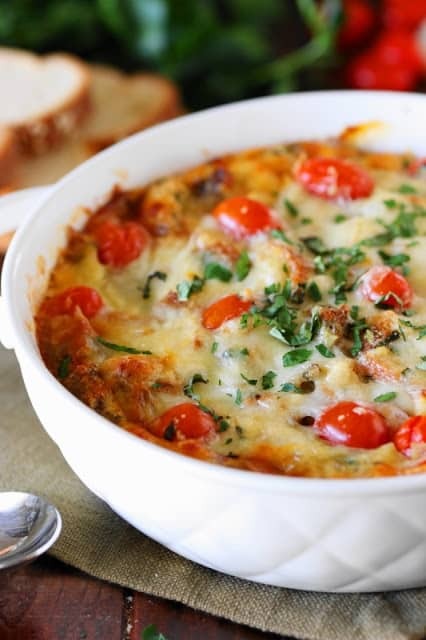 Savory Breakfast Bread Pudding. 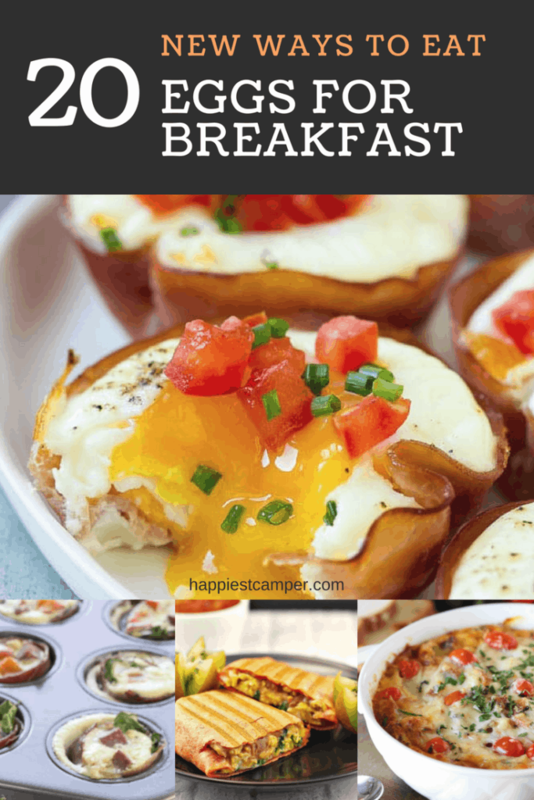 If you are looking for a hearty and delicious breakfast, this is the one for you. Healthy Egg Muffins with Turkey Bacon. Looking for a healthy recipe that still packs the flavors that you’re craving? This is the one for you! Keto Egg Muffins. Living the Keto lifestyle and finding delicious breakfast recipes such as this one doesn’t have to be hard. Breakfast Loaded Toast. Why have regular toast when you can start off your day with this breakfast loaded toast? This one changes everything. Mexican Omelette Recipe with Guacamole. To say these omelettes pack a punch is an understatement. Spice them up or keep ’em calm! Mediterranean Breakfast Burritos. Healthy, hearty and full of protein, these breakfast burritos are a great way to start your day. Low Carb Breakfast Pizza. If you tell me that there’s a chance that I can have pizza for breakfast, say no more. I’m in. Savory Crepes. While some crepes are sweet, these crepes are jam-packed with delicious ham and eggs. Tex-Mex Egg Breakfast Muffins. Quick, easy and packed full of fun flavor, these are certain to become a staple on your breakfast menu. Breakfast Fried Rice with Bacon, Eggs, and Asparagus. An awesome breakfast recipe that gives great ideas on how to reuse that leftover rice. No matter how you like your breakfast eggs cooked, you will find your new favorite recipe in this list. With 20 options to choose from, I found several! If you like this, you might also enjoy my Easy Summer Egg Salad Recipe. Yay! Let me know which one is your favorite.